When you really think about it, the world we live in is pretty big. Really big. Before I became a proud father of baby girl Alice I didn’t realize how fragile we all are, and how enormously big the world is. But, at the same time, it’s very small. 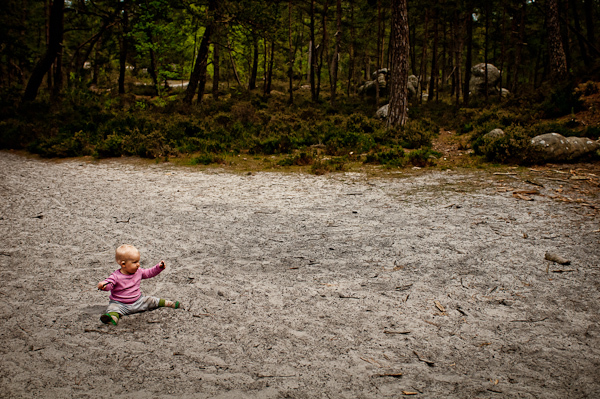 Alice doesn’t care, or even take notice, if we go climbing in Fontainebleau in France or if we just go down the road to the nearest playground. Her world is confined to the space we give her. It’s pretty cool when you think about it, isn’t? This entry was posted in France by poa. Bookmark the permalink.